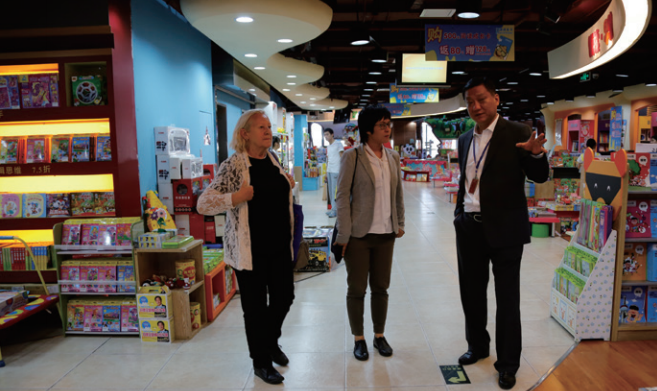 In September 2013, Mrs. Maria Jesus Gil, President of the Hans Christian Anderson Award Jury, was invited to visit CCPPG headquarter in Beijing. She discussed with CCPPG editors about the Hans Christian Andersen Award, children's books publication and children's literature. She also took part in a discussion forum with renowned Chinese authors and illustrators of children's literature to understand more about the development of children's literature in China. In November 2013, Mrs. Patricia Aldana, President of the International Board on Books for Young People (IBBY) Foundation and renowned publisher, was invited to visit CCPPG and signed an agreement to work as CCPPG's international consultant. She held a workshop on the subject of publishing high quality picture books in a cross-cultural environment which reflect national features and interest international readers.